Polo is not only a famous clothing brand. The company has also released various premium wear and perfume products into the market. For the men who want to appear bold and distinctive from other people, Polo Black makes a very good choice due to its unique characterized scent. However, the company has also released Polo Double Black for those who seek something stronger and heavier. So, how do Polo Black and Polo Double Black differ from each other? Which one will suit you best? Just like what the name suggests, Polo Double Black is even more black than Polo Black. It is quite considerably darker, heavier, and also a little bit spicier. It has that masculine noir aura, being bold and heavy. Polo Double Black was created by Ellen Molner in 2006. It still features the very much recognizable opening of frozen mango, which is now accompanied by an intense aromatic spicy pepper note. The heart notes feature the fresh bittersweet scents of Indonesian nutmeg and roasted coffee beans. And, finally, the base notes of cardamom, fir, woodsy notes, and juniper berries conclude the fragrance in a solid and elegant way. 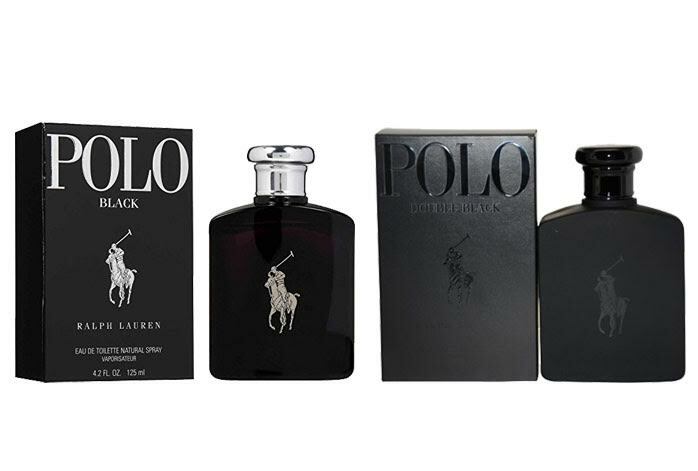 Polo Double Black makes a perfect choice for men who prefer darker and heavier scents. If you want a heavy scent that is not too dark and still has some degree of sweetness and freshness, then Polo Black should be your choice. However, if you really like dark, bold, and heavy notes, then you should go with Polo Double Black.